─ Archaeological Treasure’s World Tour Continues at the Patricia and Phillip Frost Art Museum FIU, February 10 through May 15. The exhibition’s title, “Predators and Prey,” references the marvelous menagerie of exotic animals portrayed. The mosaic is of no religious affiliation, residents at the time were mostly Pagans, Christians and Jews. 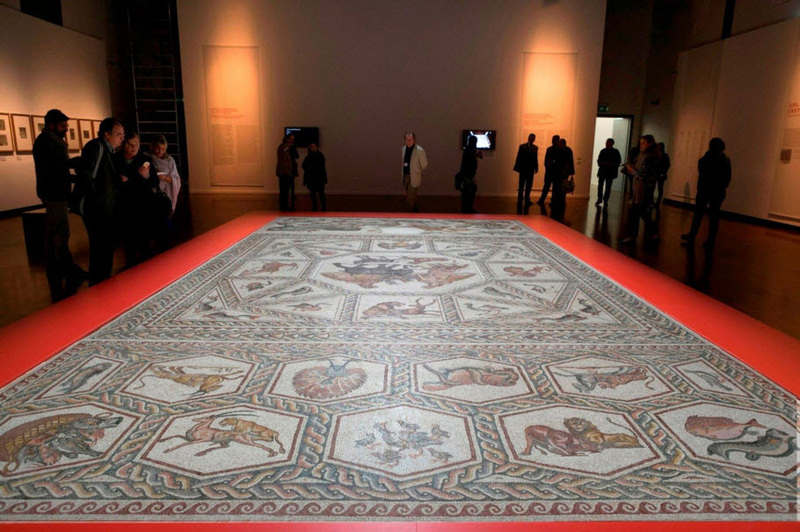 The Lod Mosaic is one of the most-viewed Israeli touring exhibitions in history. When the Israel Antiquities Authority originally excavated the mosaic and opened it to the public for only one weekend, more than 30,000 people traveled to Lod to see the ancient marvel during the two-day period. The Miami presentation of the Lod Mosaic is generously underwritten by Patricia and Phillip Frost Visitors to Miami this winter travel season has a chance to meet a true “Roman Rock Star” up close in the magnificent Lod Mosaic, a 3rd-century CE Roman Mosaic from the Eastern Roman Empire in modern-day Israel. The exhibition will remain on view through May 15. The museum is located on the campus of Florida International University, located at 10975 S.W. 17 Street, Miami, FL 33199. A Spectacular Example of Preserving World Cultural Heritage Sites: With Far-Reaching Importance Today Especially during today’s troubled times with heritage sites in danger in war-torn areas, the Lod Mosaic provides a spectacular example of rescue archaeology and conservation. The Israel Antiquities Authority saved the Lod Mosaic after it was discovered by a construction crew during a 1996 excavation to widen a roadway. The Lod Mosaic dates back to the 3rd century CE when the town of Lod was a part of the Roman Empire. 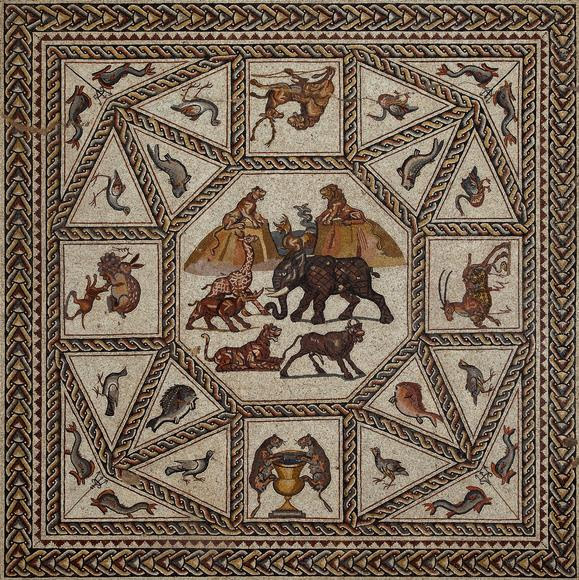 The exquisitely detailed mosaic is believed to be the floor of a large audience room, in a grand villa owned by a wealthy Roman merchant whose trade route crossed between Jerusalem and the Mediterranean. 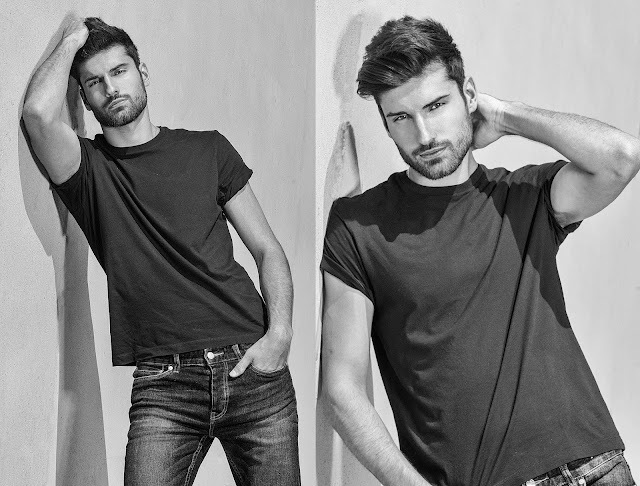 The Israeli town of Lod stands on the site of the ancient city of Lydda, which developed in a fertile plain on an important trade route, the Via Maris, from Egypt to Syria and Mesopotamia. A center of culture and craft production, after being destroyed by the Romans in 66 CE during the first Jewish-Roman War, the city was rebuilt with the name Diospolis, the “city of Zeus.” Around 200 CE, Septimius Severus made it a Roman colony. 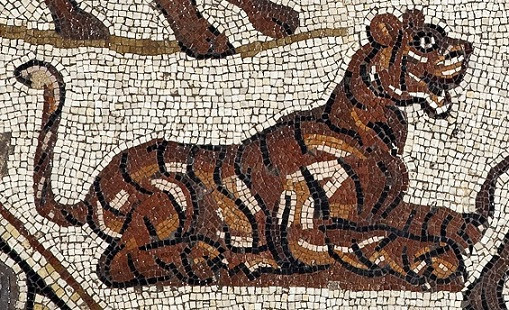 Archaeologists have calculated that more than two million tesserae (ancient tiles) were used to create the 1,700-year-old masterwork. Three central panels were chosen from the excavation for the traveling exhibition, two rectangular end panels surrounding a large square central medallion. Featured are indigenous animals coexisting with ferocious wild creatures such as lions and tigers, an elephant and a giraffe, and Asian water buffalo, plus marine life, a sea monster and merchant ships. The mosaic holds unresolved mysteries, adding to its allure. Why are there no deities or human beings portrayed, something highly unusual for such a grand floor mosaic from this time period? Mosaic pavements were integral to ancient architecture, and the traveling exhibition is uniquely displayed on the floor as it was meant to be seen. 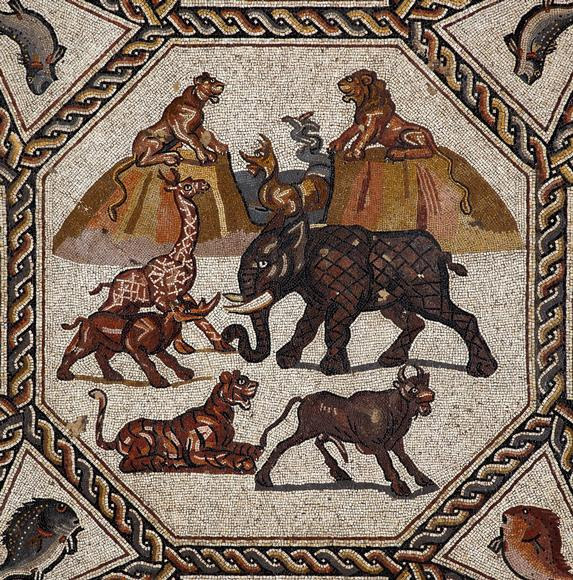 The Past Has a Future Flash-forward 1,700 years and the current municipality of Lod and the Israel Antiquities Authority have recognized this opportunity to create a tourism center focusing on its newly-recovered ancient mosaics. After its exhibition in Miami at the Patricia & Phillip Frost Art Museum FIU, the mosaic will return to Lod where the Shelby White and Leon Levy Lod Mosaic Center is currently under construction. SHORT WEB SERIES- "WHAT EATING STEVEN YEUN?"